Boys Golf Callout Meeting will be held this Friday, January 11, 2019, during HOMEROOM Period in the Varsity Gym. Congratulations to the BCHS boys golf team. 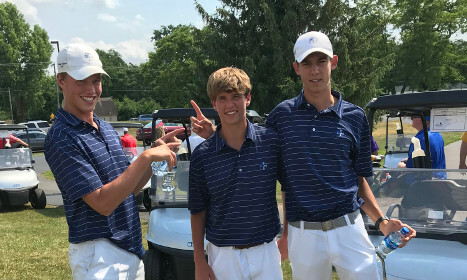 They placed third in sectionals with a team score of 322 to advance to Regional play on June 7. There the team placed 8th with a team score of 329. The top 5 individual golfers not advancing with a team go on to play in the state tourney. Matthew Semler advanced to the state tourney with a score of 76. He will play on June 12 and June 13 at Prairie View Golf Club in Carmel. Good luck Matthew! BCHS Varsity boys golf team played Lawrence Central @ Old Oakland Golf Club on Tuesday, April 9, 2019. BCHS recorded the winning score of 185 with Clay Fox firing a 43 for Medalist honors. The other Varsity scores were Ben Annakin=45, Matthew Semler=46 & Steven Tebbe=51. 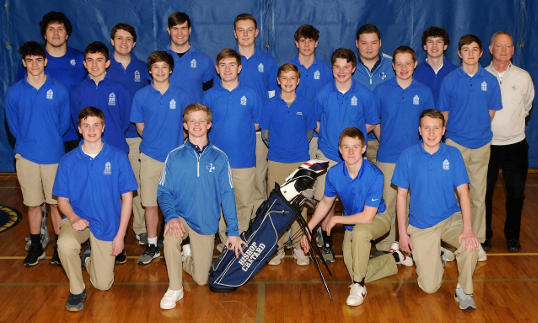 BCHS boys golf played Scecina @ Pleasant Run Golf Club on Wednesday, April 10, 2019. BCHS won the dual match with a winning team score of 189. Steven Tebbe was Medalist with 45. Other Varsity scores were Clay Fox = 46, Matthew Semler = 49 & John Schaffer= 49. BC played in the highly competitive 10th Annual Highland Invitational under sunny skies on Saturday, April 13, 2019. Clay Fox recorded the low round for BC with an 89. The total team score = 379 (other team scores were Matthew Semler=96, Stephen Tebb = 96 & John Schaffer = 98). BCHS played a dual match vs Roncalli @ Hillcrest CC on Wednesday, April 17, 2019. Roncalli won the dual match with a score of 165 vs BCHS score of 180. Ben Schrage recorded the low BC score with a 44 – the other team scores were Ben Annakin = 45, Stephen Tebbe = 45 & Matthew Semler = 46. 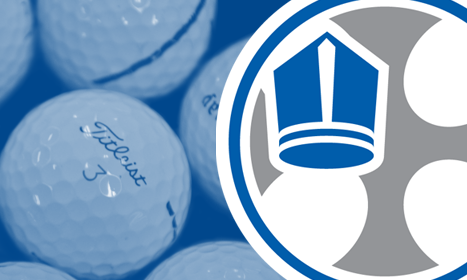 BCHS played Guerin Catholic @ Pebble Brook Golf Course on Monday, April 22, 2019. Guerin Catholic won the dual match with a score of 152 vs BCHS score of 174. BCHS JV golf played Lawrence Central @ Old Oakland Golf Club on Tuesday, April 9, 2019. Owen Fischer shot the lowest JV score with a 51. BCHS boys golf won the JV match vs Scecina due to a forfeit. Nicholas Zink recorded the low JV score with a 49. BC played a dual match vs North Central @ Coffin Golf Club on Wednesday, April 17, 2019. BC had a team score of 219 with Joe Mees and Owen Fischer recording the low team score of 53. BCHS played a dual match with Guerin Catholic @ Pebble Brook Golf Club on Monday, April 22, 2019. Guerin Catholic won the JV dual match with a score of 165 vs BCHS score of 224. Joe Mees had the low BCHS score with a 55. The other JV scores were Jacob Reida (58), Clark Millman (58), Alex Harris (60), Ryan McGinnis (60), Sam Koers (64), Michael Borchers (65) & Bustamante (71). James Haas played as an individual and recorded a 58.